The next generation of Griswolds is at it again. 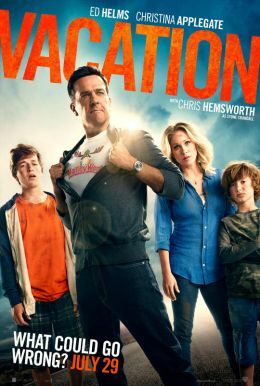 New Line Cinema’s “Vacation,” starring Ed Helms (“The Hangover” films) and Christina Applegate (the “Anchorman” films), takes the family on the road for another ill-fated adventure. The film marks Jonathan Goldstein & John Francis Daley’s directorial debut. Following in his father’s footsteps and hoping for some much-needed family bonding, a grown-up Rusty Griswold (Helms) surprises his wife, Debbie (Applegate), and their two sons with a cross-country trip back to America’s “favorite family fun park,” Walley World.